From time to time a user may need to reset their OAuth token with CloudExtend Gmail for NetSuite. Typically users will see error CEHE-00008 or CEHE-00012 AppSettingFetchError when trying to load the CloudExtend Gmail app. Users can reset the OAuth token by following the instructions below. 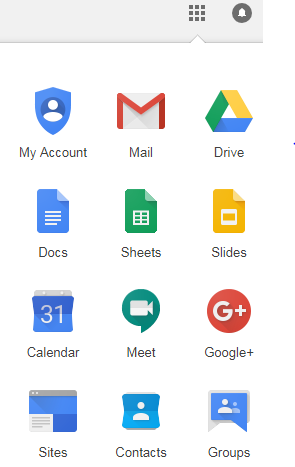 Step 2: On the top right portion of the Gmail page, locate the icon Google Apps (screenshot below). Step 3: Click on the My Account option. Step 4: In this new page locate the Sign-in & Security portion and under it, click on Connected apps & sites. 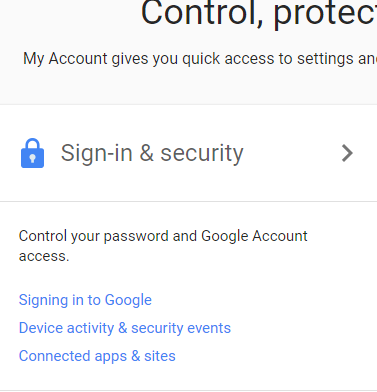 Step 5: Under the Apps connected to your account section in the right side, click on the Manage Apps link. 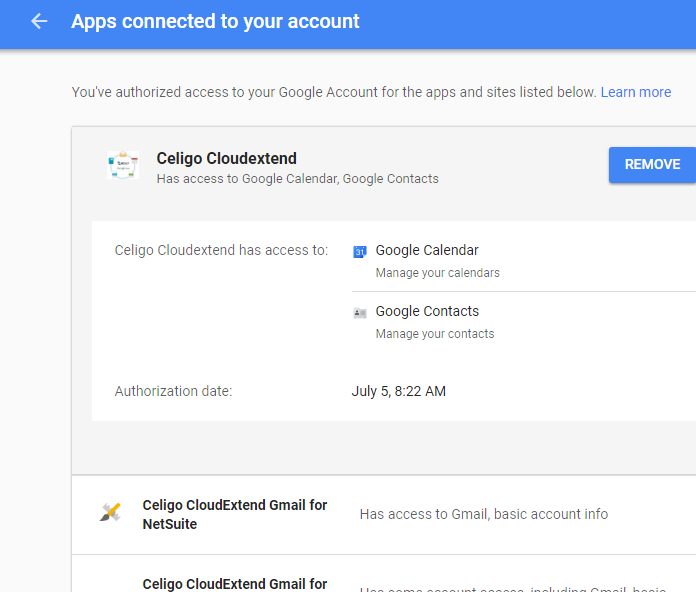 Step 6: In this page, click each Celigo CloudExtend entries in here and hit Remove. Step 7: Go back to your Gmail page and refresh it.